Telenor continues to showcase its fad for opening retail stores, this time bettering its own Guinness Book record. The service provider has opened 472 stores across six circles on 26 August 2015, the largest and fastest expansion of retail stores in a single day. According to Telenor, the effort underwent 110 days of planning, 2640 hours of manpower resources using 180 employees across six circles simultaneously. With this, Telenor has once again marked in Guinness Record Book for opening highest number of retail stores. Telenor showcased the similar success on 15 August 2014 by opening 362 stores. “The Guinness record is a testimony to the hard work and perfect planning of a highly passionate and motivated team. At Telenor, we have constantly worked on retail presence to be closer to our customer. Along with our network modernization plan, this will improve service experience and help subscribers enjoy our affordable products. With initiatives like Grahak Siksha Kendras (customer education hubs) and free life insurance we are converting our retail stores into a one-stop destination for all telecom needs,” remarked Sharad Mehrotra, Chief Executive Officer, Telenor India. Prior to choosing the locations for retail stores, Telenor undergoes a location hunt across its circles, spotting the areas where the subscriber base is about 10,000, but there is an absence of retail stores within a vicinity of 4kms. “An expansion of this scale would take months in the normal course. 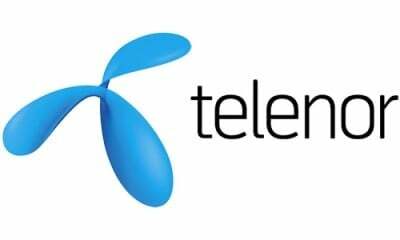 But by accelerating the process, Telenor has successfully gone deeper with its retail footprint across its markets in one stroke. With the increased reach and availability of Telenor products and services, it will help us fulfill our strategic ambition of being ‘Loved by Customers’,” opined Upanga Dutta, Chief Marketing Officer, Telenor India. The telecom service provider’s overall retail footprint is over 2070 stores. Besides the retail outlets, the provider has an in-house automated distribution management system (DMS). The DMS collects real-time data of inventory, logistics and customer buying trends among other things. The collected data allows Telenor to assess the customer trends and implement strategies based on them. DMS was initially developed for India and now it’s been replicated in other places such as Thailand, Myanmar and Telenor business units in Europe.